We are a residential rehab centre for those who suffer from substance addiction. We have a strong Christian ethos, working from the Twelve-Step programme both from biblical and secular perspectives. We work closely with each of our residents to support individuals according to their recovery needs. Our Recovery Programme consists of 6 months’ residential rehabilitation with the option to move on in to one of our supported houses in the community. We are a male only facility for those over the age of 18, and can accommodate for a maximum of 6 residents. We are happy to consider referrals from any Northamptonshire agency or professional body working with an individual who is fully focused on recovery. We also welcome enquiries from friends or family of a potential resident. Due to the length of the recovery programme and the demand we operate a waiting list. All applicants will need to have an initial telephone assessment, followed by a face-to-face interview with the manager and/or other key staff members to assess their suitability for our Recovery programme. 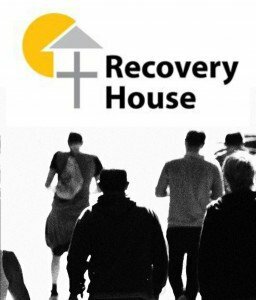 To be considered for a place at Recovery House an applicant will need to convince us of their own determination to work hard towards recovery. We ask for total honesty and openness in the interview situation and applicants may be asked some difficult and searching questions. Successful applicants will be placed on our waiting list. Monday to Friday is time-tabled with learning sessions, discussion groups and various activities. All residents attend our in-house morning devotional time from 9am, where we begin our day meditatively, looking at Scripture together, Narcotics Anonymous ‘Just for Today’ thoughts, and Alcoholics Anonymous ‘Daily Reflections’. We ask our residents to engage in formally writing step work from the narcotics anonymous literature, and then sharing their understanding and experience with a key-worker on a one-to-one basis. We will also use other recovery literature in group work such as the “Celebrate Recovery” work books, and the “The Big Book” of Alcoholics Anonymous. All residents have access to free gym membership, with regular weekly time available to use the facilities. We also access local NA, CA, and AA meetings for all residents, where more invaluable support and encouragement can be found. All residents attend church on a Sunday morning. We have a strong focus on daily sessions that look at and help improve all areas of emotional, mental, spiritual and physical wellbeing for our residents. Rent is paid through housing benefit. All residents receive ESA payments which will be paid directly into the charity bank account. Each resident then receives £50 back per fortnightly payment as a personal allowance. The remainder of this money goes towards the food bill, all utilities, staffing costs, transportation expenses, outings, and so on. By using the ‘Donate Now’ button, you will be donating direct to East Northants Community Services. ENCS is the charity name that encompasses each of our different services. If you would like to donate to a specific area of the charity, e.g to Recovery House we can help you to ensure that your money goes to where you would like it to. Please use the ‘I would like to send the Charity a message’ option to specify where you would like your donation to be allocated to. We are currently looking for volunteers that can commit to weekend work. We are looking to cover both Saturday and Sunday afternoons 4p.m–6p.m, and evenings 6–10p.m. If you are someone with flexibility, and an interest in the work that we do here at Recovery House, please get in touch. Volunteers are generally expected to have a responsible attitude, to come alongside residents and to join in with the life of the house. You need a good sense of humour and a non-judgmental attitude. We aim to provide lasting help and support to those earnestly seeking recovery from addiction issues. We work to help our residents find a new way of living, and to develop a strong network of support for living more independently once our residential treatment programme is completed.